Well, that was impressive. On a blustery Saturday in April, 3000 cyclists come together in the capital for an impeccably organised stroll through to Parliament – #POP28. There was sunshine, cake, lots of children, a huge variety of bikes and a general carnival atmosphere to the whole thing. It didn’t feel like a protest, it felt like a statement of an entire culture which encompasses all ages, all incomes, all backgrounds, politely asking for maybe a touch more investment to keep them safe. 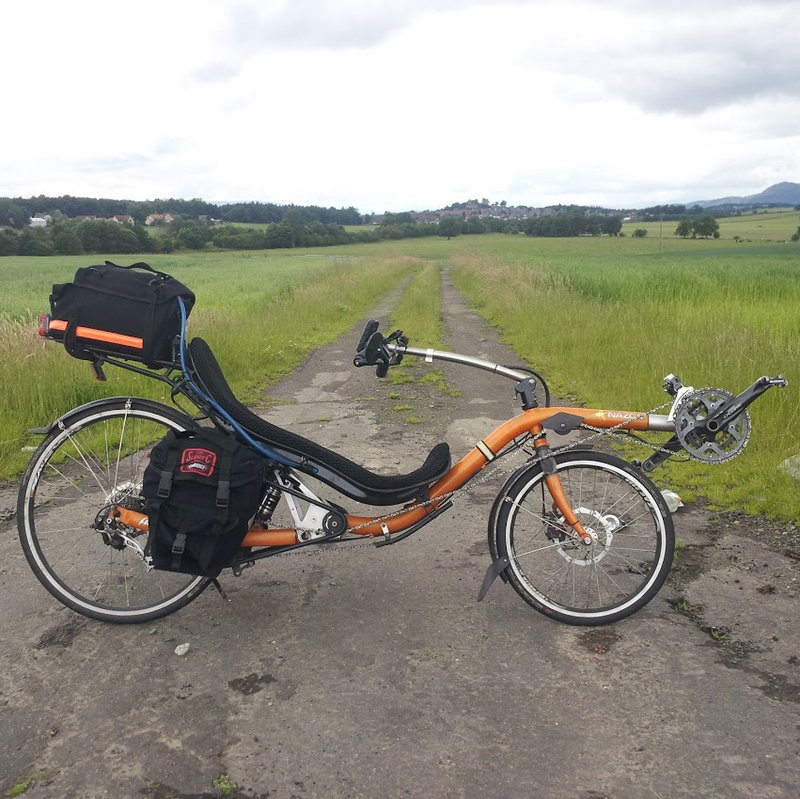 The ride across from Glasgow to Edinburgh was considerably more hard work than expected. A bitter headwind scorned my fingerless gloves and the satnav decided that today was the one day so far this year that it was going to throw all of its toys from the pram. It spent the journey clutched to my handlebars throwing up occasional comments of ‘Do a U turn’ and ‘Road does not exist, continue?’ whilst mockingly displaying a speed that a fairly arthritic pig would be embarrassed about. Anyway, I arrived at long last and joined a menagerie of the weird and wonderful outside Laid Back Bikes. Add to the above another three recumbents (all from Nazca) – the laid back side of life was represented in force, causing much amusement to all those who watched the circus pass. We gathered on the Meadows, had a bit of music thanks to ruggtomcat’s portable trailer of tricks, rang bells, milled around, chatted to people we’d never met and lusted over a variety of weird machines and costumes (some of which made my comedy hat look restrained). And then slowly turned around and realised that the entire centre stretch of the Meadow’s was full of people on bikes. Blimey. I can’t think of any other thing that unifies such a broad a broad range of people whilst giving out such huge benefits. This is something to protect, nurture and shout about. Some day I am going to have to play on a trike. Thank you for blogging about POP last year – we were wondering if (a) you’re planning on attending #pop2 this year and (b) if so whether you’d be happy to blog about why – either on your own blog or as a guest blogger on the POP site. We’d be very grateful as it all helps to spread the word to as many people as possible… please let us know if you’re interested or if you blog about it so we can publicise it.